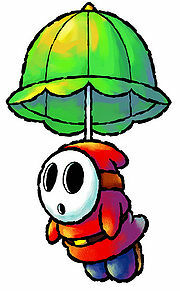 A Glide Guy is a Shy Guy with a parasol attached to its head found in Yoshi's Island DS. They jump and float for a few seconds. They are usually found in strong currents that Baby Peach can ride. Glide Guys come in a variety of colors, each one with a different colored parasol on its head. 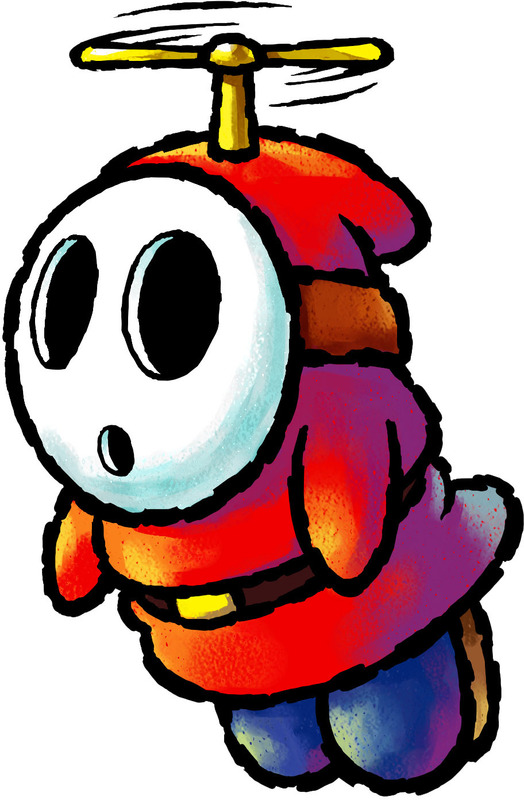 The official artwork of Glide Guy appears to be edited from the Fly Guys' artworkMedia:Flyguys.jpg for Yoshi Topsy-Turvy. This page was last edited on April 12, 2019, at 08:50.